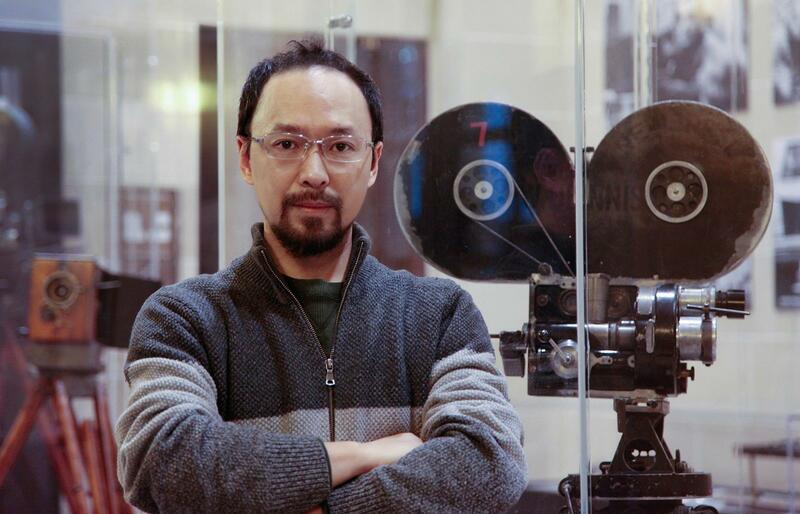 Director and cinematographer of Once Away, an episodic documentary for China Central Television, Yuechuan Ke ’06, opens audiences to various global perspectives through his engaging work that promotes love and equality. Keh recently reflected on his exciting journey from Chongqing, China to USC’s interactive media program, while also providing advice for students looking to make a difference through cinema. Could you share about the beginnings of your academic career at SCA? What influenced your decision to pursue an education in Interactive Media after studying at the Sichuan Fine Arts Institute and Tongji University? In 2001, I had wrapped a 20-minute semibiographical thesis film, Red Balloon, and finished my master’s at SCFAI and Tongji University. However, it was still far from enough to position me to any principal opportunity to make films. I was teaching in SCFAI, Chongqing, ridiculously far from Beijing where almost all productions took place. Given the status quo, I didn’t see a film movement comparable to the French New Wave or our national cinema becoming as good as Japanese films happening any time soon. The disappointment and unpreparedness made perfect sense for me to continue my film studies with a more glamorous approach—USC film school. The early Interactive Media and Games program of the School of Cinematic Arts carried a strong message about immersive and interactive cinema using conventional film and TV media as opposed to the immersion and interaction experience design using computer generated digital images. The former certainly looked to me as a kind of “avant-garde” filmmaking, a shining term I sincerely held as foreseeing, experimenting, innovating, and ultimately self-challenging. I also believed it would inevitably take the entertainment industry to a more advanced level. I said to myself, “This is it”. What was your experience working on your thesis film The Chosen? How were you challenged as a filmmaker? It prepared me for the real world by putting me up to work with real people and with real companies, like LA Casting, Mole-Richard, Film LA, Wooden Nickel, Alan Gordon, to name a few. Being part of the SCA family, my advantages were tangible. However, trustworthiness and prestige can only be earned by being unconditionally responsible to lead a project. The fundamental challenge was the legitimacy and philosophy of making an interactive/immersive film. There were insightful arguments against my narrative prototype as well as smashing affirmations to put the production on track. The dynamics of the pair were amazing, and only existed in IMD. By making this film, I could pave the initial stepping stones to answer questions regarding the limit and possibility of the film’s interactive experience and its narrative economy. Guiding viewers’ attention by applying innovative “mise-en-scene” and strategic camera positioning to reach efficient and economic narrative is yet a new land to explore, being a part of this journey was absolutely a pride. What was your experience as the director and cinematographer for the pilot episode of Ocean Away? ?, an episodic documentary for China Central Television? How did you utilize your creative sensibilities as a storyteller? This project entirely checked up my documentary filmmaking skillset. Filming only pays off when heart-to-heart communication is achieved. It took time, lots of time. Fortunately, my counterpart and I came from the same city, which made it even more natural to get camera rolling when we dug deeper into her struggle in LA as a folk musician who played the Chinese koto. She shared much in common with us then struggling (poor) international (foreign) film (jobless) student (nobody) artists (wired people). I did my best to stick to the ultimate moral code for documentary filmmaking: to be honest and objective. This became harder for teamwork, which in fact had been the biggest problem. Furthermore, it would be absolutely too late to find out any of the team didn’t have certain media literacy. And when that happens, one must have guts to say no, even to the producer when, for instance, you were asked to strike better lighting so that when cross-posting as the interviewer, they could pose to get better angles. Teaming up from documentary filmmaking is critically an art. Could you share about your journey with ABP Entertainment Inc, a leading company in innovative storytelling techniques and technology? ABPent started up naturally after a Chinese project came to me. Once the entity came into being “indie” as called in LA, we came to like it. We determined that successful projects are the ones that benefit financially, or the quality of it helps to develop our brand. It is the fast growing US-China film business exchange that makes our standing possible. We find that new and emerging film technologies can give us the upper hand, either in terms of our own film-TV storytelling or to offer service to ones produced by our counterparts in China. 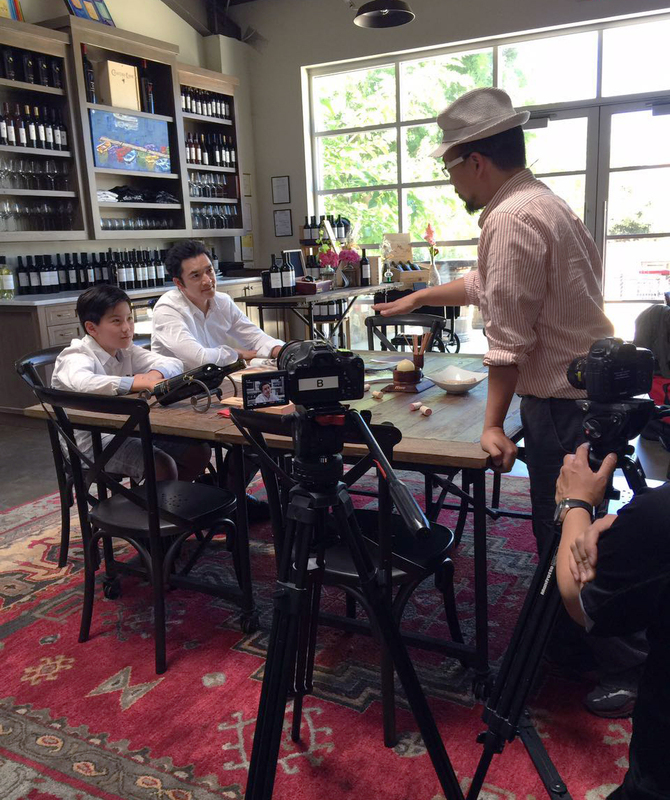 Moreover, we are most excited to develop film and TV stories that the mainland Chinese audience may resonate with. How do you hope your work affects its audience? Firstly, I hope to tell our stories as a global villager with love and equality, wishing to bridge a better mutual understanding for same ordinary Joes who are categorized by passports. A controlled culture and misinformed people tend to be haunted by “world center” delusion, which is not my definition of a happier and better world. I hope our narrative not only provides quality entertainment, but also assists to help the less traveled to see and identify the outside world more with empathy than indifferent apathy. Our audience deserves stories told in this perspective. What is your advice for current SCA students? I think it’s direly necessary to locate your most favorable craft that matters to the industry, and shape it beyond perfection. Find the cause that inspires you and give you lasting spiritual power. What are you up to now? With my partners, I am working on the last parts of a TV series. It is about the broad walks of lives of Chinese Americans and immigrants across US societies. We also have four genre-film stories in parallel development. These stories are all tailored to mainland Chinese audiences and expected to give a fresh perspective with updated insights. Aside from the routine commercial productions, I am working on a film script of personal interest related to the Chinese civil rights movement, by which I hope to also enable to demonstrate my aesthetic understandings about cinema. In my spare time, using distant communication technology, I’m teamed up with the most influential film educators in China to teach college students audiovisual language with an emphasis on cognitive psychology. It’s always meaningful and pleasant for me to be part of education.